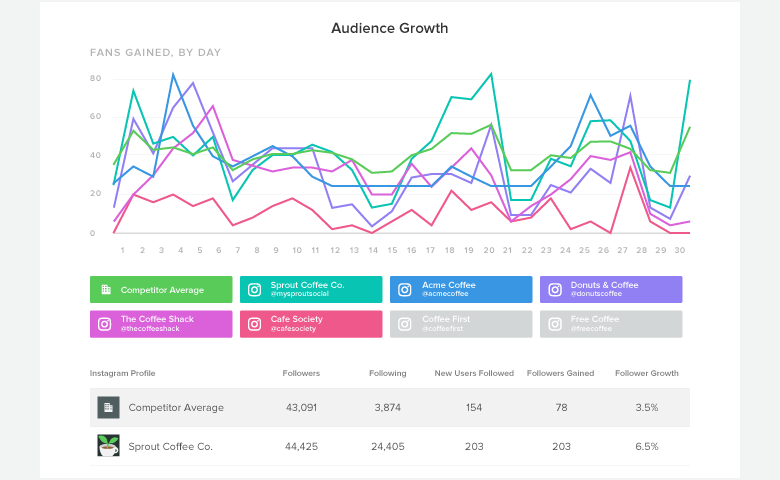 There are a lot of Instagram analytics tools available to give your brand insights into your profiles audience growth, what content works best and other important details. When you’re trying to decide which is right for your brand, one of the first questions you’ll ask yourself is should you go with a premium or free Instagram analytics tool? Obviously, the biggest benefit of free Instagram analytics is the cost. You don’t have to pay a monthly or annual fee, so these tools are accessible for any business regardless of your budget. Many of the free Instagram analytics tools you’ll find online are fairly basic. They don’t give you a ton of detail or data-packed reports. For marketers just getting into the world of social media analytics, this can be a good introduction without getting overwhelmed by graphs, charts and data. If you’re not aiming to do a deep dive into your data, free tools will give you surface level information to get a basic overview of how you’re doing. 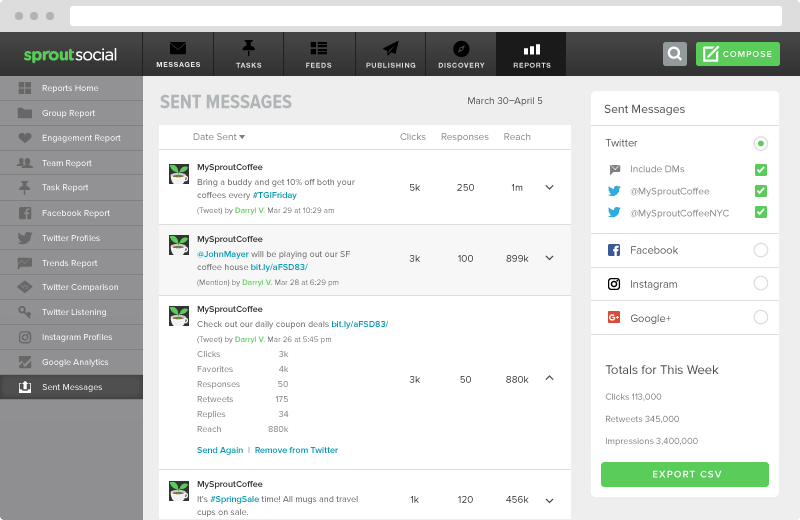 For instance, most free tools show follower growth and engagement metrics. Free Instagram analytics is nice, but if you want to get more actionable and in-depth data, paid software is ideal. Premium Instagram analytics tools are often worth the investment simply because it provides an abundance of features you won’t ever see with free tools. This is especially true if your brand specifically wants to get more out of the network. We hinted at this earlier, but it’s important to reiterate. While free tools won’t cost you anything, it usually means you’re not getting all the data. Paid tools give you access to hashtag analysis, competitor analytics and other information unavailable in most free tools. There aren’t many (if any) free Instagram analytics that provide a high level of customer service or support. Often times, you’re just getting the tools and maybe a tutorial on their website. With premium software like Sprout Social, you get access to some of the best in class customer service experts. Our team of customer advocates are available 24/5 to answer questions by phone, help you via social when you run into issues or when handling support problems. We take customer service seriously to ensure you’re getting the most out of the software and always have a source to reach out to. If you’re an enterprise company, most free Instagram analytics tools aren’t going to give you the functionality or level of data you need. Enterprise social media tools give your company the ability to collaborate, manage multiple profiles and get deeper insights across all channels. Enterprise level Instagram campaigns often involve multiple stakeholders, and several people contributing on the execution and analysis side. Many premium tools are built with this in mind. Members of your team can check on the metrics that are most important to them, and get an idea of how specific campaigns are performing. 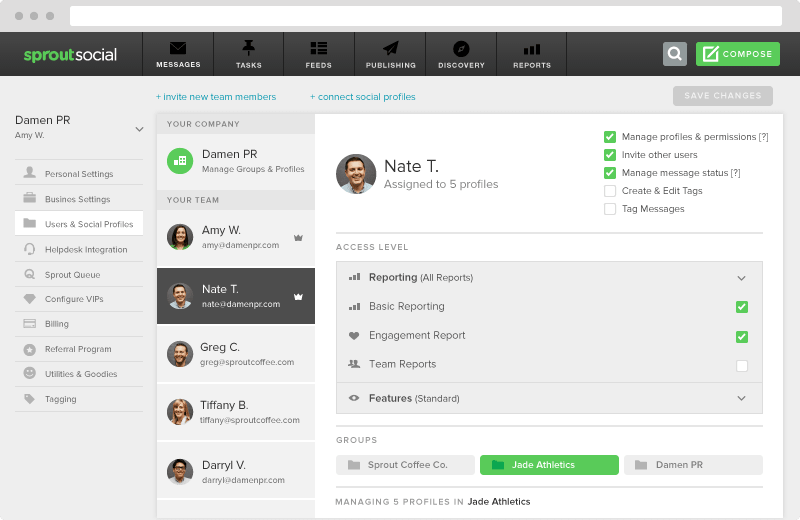 This provides transparency between departments and gets your entire company involved in social. As your Instagram strategy develops and your needs change, you’ll want tools that can grow with you. Free tools are great for the early stages of your Instagram marketing efforts. But once you start putting together larger campaigns, working with influencers or using Instagram as a customer service channel, you need a platform that’ll help you measure and track your efforts. For instance, if your brand expands to new territories or adds divisions, you’ll likely want to create new social media profiles for each extension. 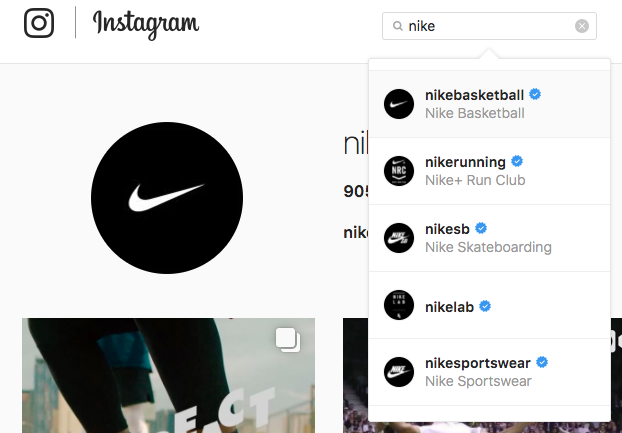 Nike has seperate Instagram profiles for their various properties. They post different content to each and speak to specific audiences. As a result, they’re able to measure the performance of each profile. Most free tools will limit the number or profiles you can connect at once. With premium solutions, you have the freedom to connect all of your profiles and seamlessly add new ones as your business grows. Most free Instagram analytics tools only give you data on your Instagram profiles. However, your social media accounts shouldn’t be looked at in a silo. Using social media dashboards with Instagram analytics built into them will help you understand how your Instagram profiles are performing in relation to your other channels and overall marketing goals. Do I Need to Share Data With Others? If you have a team working on your Instagram account, work with clients or have to produce reports to higher ups, it makes much more sense to go with a premium analytics tool. Most free Instagram analytics tools are built for individuals, solo entrepreneurs and people working in very small teams. On the other hand, premium tools can include features such as user permissions, shareable and scheduled reports and team report analytics that make it easy to collaborate. Pro tip: A good sign that it’s time to switch over to a paid option is if you have multiple people sharing a single login for your free Instagram analytics solution. Ideally, everyone should have a separate login for security and accountability purposes. How Much Do I Use Instagram? Many brands continue to invest heavily into Instagram as its user base grows. However, there are still those who are much less invested and rarely publish or engage on the platform. If that’s you, then a free option is worth considering. However, we’d argue that if Instagram isn’t a part of your brand’s marketing strategy, you’re potentially missing out on a huge opportunity. The platform has attracted over 1 million advertisers in roughly a year. S there’s a strong chance that your competitors already engage with your target audience on the network. Will I Use Instagram More in the Future? You may not use Instagram a lot right now, but if you intend on making it a larger priority in the future, it’ll be worth investing in a premium tool sooner rather than later. It’ll save you the hassle to having to use multiple tools. The point of tracking your analytics in the first place is to spot trends, measure growth and find new opportunities. Using a single Instagram analytics tool gives you more historical data to look through and find those trends and opportunities. When you swap between free and paid tools, things get messier since you’re relying on multiple sources of information. What Metrics Do I Need to Track? 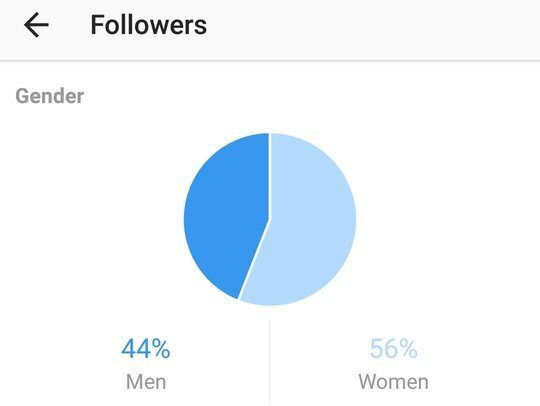 Not all Instagram analytics tools give you the same data. One of the first steps you should take when trying to decide between paid and free Instagram analytics tools is to think about what metrics are most important to your business. For instance, if you need to measure the performance of your Instagram Stories you’ll need the free data from Instagram’s built-in analytics. The same goes for Instagram Ad performance. But if you want to see competitor analytics, publishing behavior or audience growth data, you’ll need a paid tool. 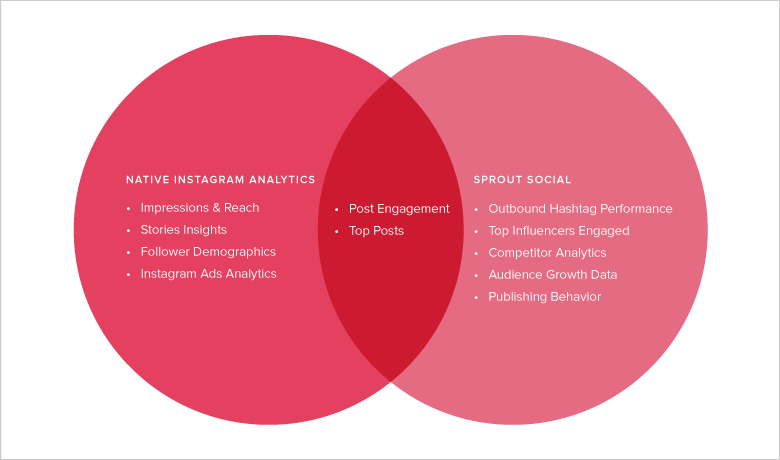 Here’s a diagram to give you an idea of some of the metrics you can get with a premium solution like Sprout versus the native Instagram Insights. Do I Need Analytics for Other Platforms? As we mentioned earlier, it’s much more helpful to look at your Instagram analytics in conjunction with your overall social strategy. Maybe a certain piece of content didn’t resonate well on Instagram, but it was a hit on your Facebook page. Or perhaps your Instagram audience growth is outpacing your Twitter, and you want to try to understand why. In those cases, it’s helpful to have a social media dashboard with Instagram analytics built-in, rather than a free tool that only focuses on Instagram. This gives you a holistic view of your social media analytics so you can see how Instagram fits into the bigger picture. 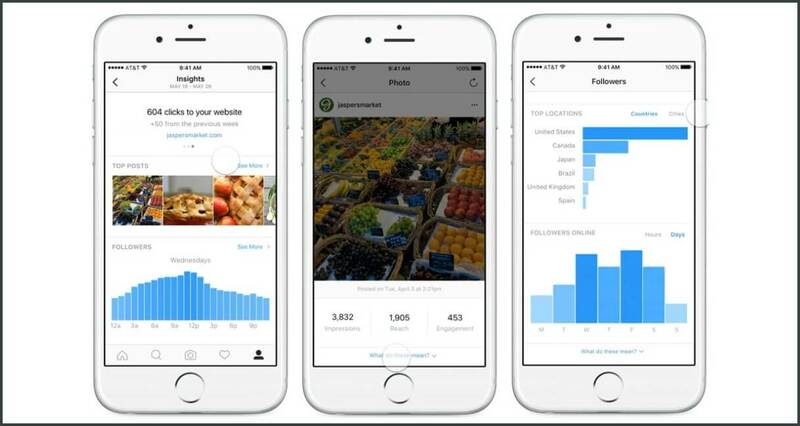 Answering these questions will steer you in the right direction of what type of Instagram analytics tool will best fit your needs. But as a general rule of thumb, if Instagram is an important piece of your brand’s marketing strategy, consider investing in a more advanced Instagram analytics tool to support you. Is it Time to Switch From Free to Premium? You may be in a position where you’ve been using a free Instagram analytics tool for a while, and you’re starting to question whether or not it’s worth investing in a premium option. You can start by asking yourself some of the questions above. But beyond that, it’ll come down to whether or not you’re getting all the data your brand needs from your free tools. The value you can get from analyzing your competitors, uncovering your top hashtags or seeing which influencers engage with you is likely well worth the investment for most brands. Premium tools can give you the data your brand needs to measure the success of Instagram campaigns and paint a picture of the value your brand is getting from the platform. Here’s another thing to consider. If you’re at the point where you’re questioning whether or not you should switch, that’s an indicator that it’s time. You can dip your toes in the water by signing up for a free trial of Sprout Social and give our Instagram analytics tools a test drive. This will give you an idea of the extra data you get with a premium tool, which should make your decision a lot easier.